Diane was born second in line to Herb and Jean at the Kaiser on Geary Blvd. She grew up in Mill Valley and San Rafael. Having lived in one county all her life, Diane wanted to move away for college. She attended and graduated from her dad’s alma mater, the University of Hawaii, with a Bachelor of Science degree in 1986. After several years of island life, a bit of rock fever hit and the Bay Area called her back. She and Ken met at a friends’ party. They married in 1997. 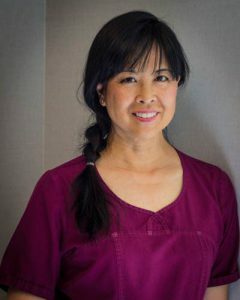 Diane joined the San Francisco Dental Hygiene Society in the early 1990’s and has served as SFDH President and Membership chair. Diane has been working as a dental hygienist since 1986, since 1994 in our practice! It’s a pleasure for her to get to know the patients and especially to watch the young patients grow up. Diane enjoys photography, Iyengar Yoga, and playing Hawaiian songs on her ukulele. Mary is a Bay Area native, born and raised in San Francisco. 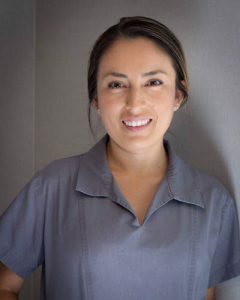 She has worked in dentistry for 15 years and has worked as a dental hygienist in our office since early 2011. 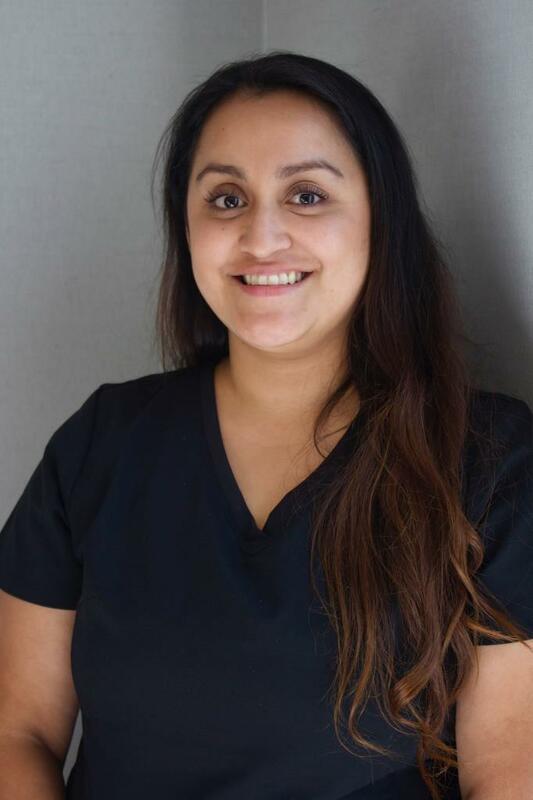 After putting herself through one of California’s top hygiene programs, Foothill College, Mary received her Associates of Science Degree in Dental Hygiene. 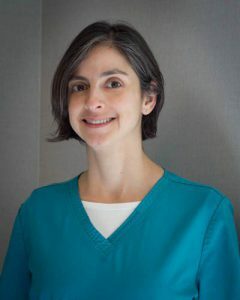 She continues to provide quality care in a compassionate, comfortable, friendly, and sincere approach. In order to balance work and personal life, Mary enjoys helping her son Tyler with his homework and watching TV series such as The Resident. Her favorite food is Korean BBQ and her dream vacation is to the Tahiti Islands. When she’s not working in the dental office, Andrea can be found in the kitchen cooking. Her specialty is developing and photographing recipes for her blog, Cooking With A Wallflower. Her favorite place in San Francisco is the Ferry Building Farmer’s Market on Saturday mornings where she can be found browsing and looking for inspiration. Born and raised in Sao Paulo, Brazil, Mari graduated from Universidade de Campinas (Unicamp) Dental School in 1994. She practiced general dentistry in Brazil from 1994 to 2004, then moved to the United States. She has worked in our office since 2005 as a chairside assistant, extended function dental assistant, and dental laboratory technician. 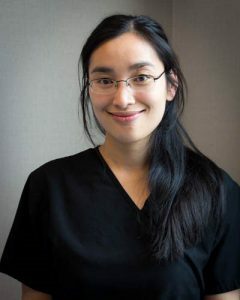 In 2010 Mari completed her Registered Dental Assistant Extended Function 2 licensing, making her one of the few “EF2” assistants practicing in San Francisco. The additional licensing allows Mari to complete most of the procedures that we perform. Mari enjoys music, yoga, and running. She regularly runs marathons and other races with her husband Seth. Patricia started working with us in 2003 fresh out of dental assisting school. She earned an additional Registered Assistant license in 2005. Patricia wears many hats in our office. In addition to her assisting duties, she fills in at the front desk, designs CAD/CAM crowns, and repairs equipment. Patty joined our team in the Summer of 2018. 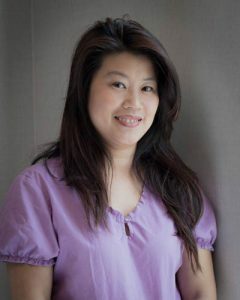 She brings to our office her cheery personality and her knowledge of dealing with insurance companies. Patty has spent many years in dentistry taking care of billing and operations, but she’s also a Registered Dental Assistant. You may think you’re seeing double, but it’s Patty taking care of a patient in the back office. When she’s not in our office, Patty can be found swinging a hammer or slinging grout on her home remodel. Her straight tile lines are the envy of everyone. Genevieve, in addition to being Dr. Fong’s Mom, has been battling insurance companies on your behalf since 1982. You can catch her at the front desk Monday through Wednesday sometimes bringing in her youngest grandkid, Ronan to help out. 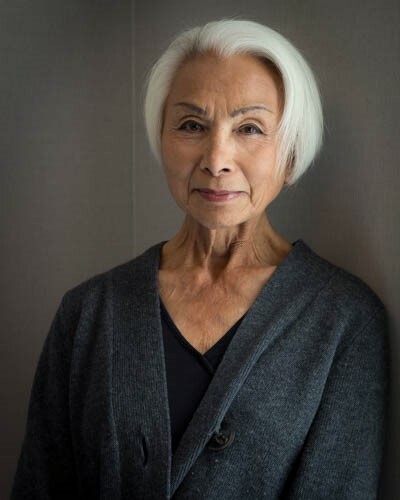 In her spare time, Genevieve enjoys Ikebana, cheering for local sports teams, cooking, and she’s looking forward to finishing another Bay to Breakers, 32 and counting!